Here’s another gem I found on the Cessna Pilots Association forum. I’ve seen the darndest things discussed, uploaded, admitted to, and debated over there. The CPA forums are a favorite haunt of mine because everyone who posts is a paid member of the association, which tends to keep out the rabble one finds in newsgroups and other ‘free’ message boards. Anyway, this is an attempted takeoff by a Grumman Goose from what appears to be a lake. Things go slightly awry, though I’m sure everyone walked away and I understand that the aircraft was repaired. 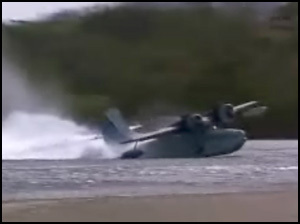 This incident is reminder of the dangers of flying sea planes. Beyond the fact that the runway surface is always changing, tends to hide obstructions (logs, for example), may contain obstacles like boats, and isn’t necessarily straight, there’s also a point where the aircraft is “on the step” and especially vulnerable to the sea gods. 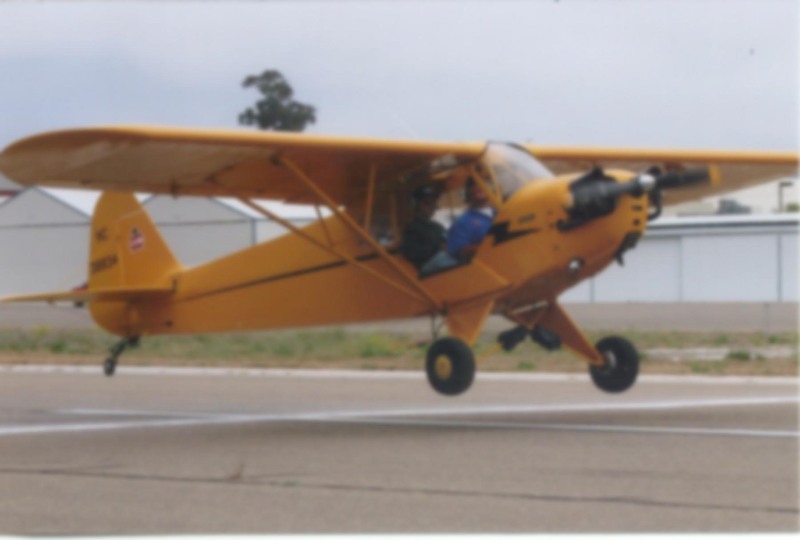 It’s akin to the moment before a tailwheel airplane leaves the ground. Not enough speed to fly, yet enough lift to leave the airframe light on the wheels and therefore more easily affected by the wind. Sea planes have the disadvantages of that tailwheel aircraft, plus the unpredictable effect of waves hitting the hull at the moment when it’s got just enough lift to pull the airframe partially out of the water, taking quite a bit of stability with it. Speaking of the hazards of operating an aircraft on the water, I received my sea plane rating on Lake Havasu about five years ago. My largest worry were the boaters traversing the lake. For the most part, they were intoxicated, poorly trained, and totally unconcerned about the idea of a spinning metal propeller moving toward them. When on the water, sea planes are less maneuverable than sail and power boats. Sea planes have no brakes and the water rudders are not terribly effective at the slower taxi speeds we use when in the vicinity of other watercraft. Sea plane therefore have the right of way over boats. Not that you’d know it from the way these boaters would cut in front of me. One genius even had the idea to come over to us after a flight and ask if there was any way we could tow a water skier using the airplane. The best part is that he wanted to do it while the aircraft was in flight. Imagine a half-drunk, half-dressed hooligan with a beer in each hand who uses the word “dude” waaaay to much and you’ll have a pretty good idea of what we were dealing with. I recall being unsure of the proper etiquette for this situation. Do I laugh at him? Slap him? Just shake my head and mutter, “That’s a shame”? In the end, I believe we just said no and left it at that. On a slightly different note, I want to wish everyone a very happy new year! May 2006 be marked by fair skies and tailwinds for us all. Nice video! Thanks for sharing that. Speaking of sharing video, could you send me (via email) the html code required to present the video the way you did in your blog? I’m still new to html programming, and I like to pick things like that up from more experienced folks. Thanks, and Happy New Year!! Will do. You might have to use a slightly modified method since you’re on Blogspot, but I’ll send you the Secret Recipe(tm) anyway.